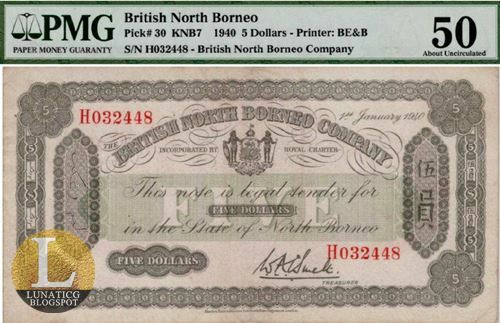 British North Borneo dollar and Sarawak dollar banknotes are some of the main highlights for Collectibles Auction Asia (CAA) Auction 13/2019. CAA Auction 13 will held at Landmark Village Hotel, Singapore on 20th April 2019. $5 dollars British North Borneo emergency issue (01/01/1940), highest grade so far (PMG AU 50) will be auction in lot no. 0705 starting at SGD 8,000.00 and maximum estimate price is SGD15,000. The banknote is an ex Bruce Smart collection. 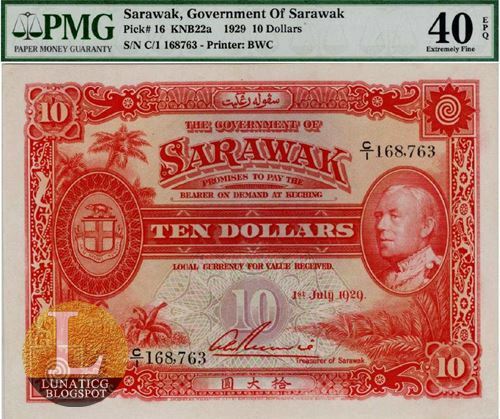 Another highlight is a 1929 Sarawak $10 dollar (lot 0702) graded by Paper Money Guaranty (PMG) EF 40 EPQ. The red banknote with serial number C/1 168,763 will be auction starting at SGD 8,000.00 and maximum estimate price is SGD15,000. A collection of People’s Republic of China 3rd series bankotes will also be auction in lot no. 0345 starting at SGD 16,000.00 and maximum estimate price is SGD20,000. The collection consist of 27pcs/set: 1953: 1 Fen; 2 Fen; 5 Fen; 1960, 1 Jiao – (??) P-873; 1962, 1 Jiao: P-877a; 877b; 887c; 887d; 887f; 887g; 887h; 887i; 2 Jiao: P-878a; 878b; 878c; 1972, 5 Jiao: P-880a; 880b; 880c; 1960, 1 Yuan, P-874a; 874b; 874c; 2 Yuan, P-875a2; 875b2; 5 Yuan: P-876a1; 876b; 1965, 10 Yuan: P-879a; 879a. 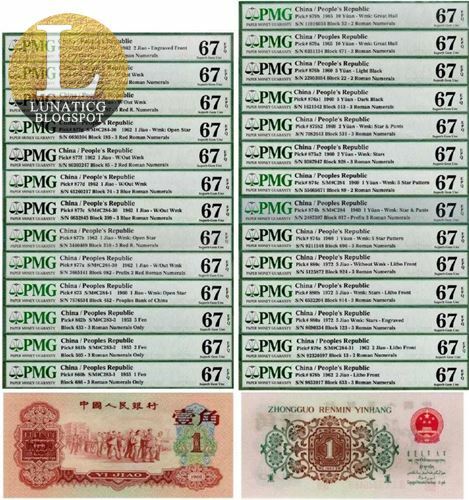 All banknotes are graded by 67 EPQ by PMG. In coin section, Tibetan 20 Srang gold coin dated 1553 (=AD 1919) will be auction in lot no. 0115 starting at SGD 10,000.00 and maximum estimate price is SGD16,000. The gold coin were struck in the Serkhang mint which was located near Norbulingka, the summer residence of the Dalai Lamas. It is graded MS 61 by NGC. Bidding is now live via liveauctioneers.com. A Buyer's premium of 15% will be added to hammer price for each lot to all succesful bids. Lots sold though "liveauctioneers.com" are subjected to an additional 5% Buyer's Premium (20% in total). All Shipping, handling and insurance charges will be paid by Buyer.